It was a useful trait when he was gaming business scenarios in the late 1970s as an MBA student at Yale, developing ideas for a different kind of cable company he launched in 1985 or teaching in recent years at Central Connecticut State University. Connecticut’s lawmakers are trying to get a grip on what precisely is his style — and what it portends about his ability to rally a legislature and public around his budget proposal. It inevitably will be the latest in a series of difficult budgets, a consequence of needing to pay down one of the largest unfunded pension liabilities in the United States. 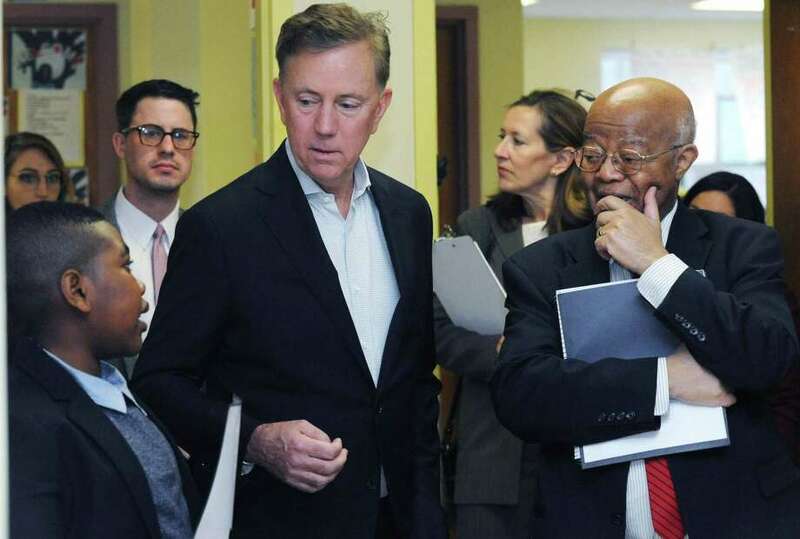 Last week, Lamont had back-to-back meetings at the Executive Residence with leaders of the House of Representatives, then the Senate. He previously met there with labor leaders. He didn’t present a blueprint for how he intends to balance his first budget, which is due to the General Assembly on Feb. 20. But he talked broadly about challenges and expressed an openness to considering new approaches. Whether an asset or liability, Lamont arrived in Hartford for his inaugural on Jan. 9 with few deep political relationships and no sentiment among Democrats that they owed their newly solid legislative majorities to the new Democratic governor. He is walking a difficult line, vowing to improve Connecticut’s tattered reputation as a good place to do business while insisting he is a friend to labor.